I read of the case of the failed pen in the January 15 blog post. The decision to continue to use a pen at risk of failing and to accept that risk is no doubt acceptable, considering that the impact of future failures includes only possibilities such as a stain on an important document or damage to a valued item of clothing. However, the story led me to imagine that this pen was a mission critical part of an upcoming space mission. 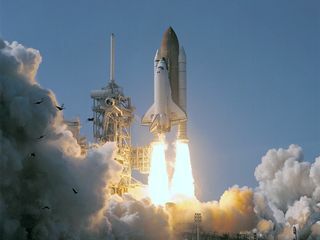 The incident that comes to mind is the case of the leaking “O Rings,” wherein NASA management chose to risk the effect of cold weather on the “O Rings,” resulting in their leaking and failing to contain the hot gases, thus bringing down the Shuttle Challenger, killing its seven astronauts, including Christa McAuliffe, the first member of the Teacher in Space Project. A personal experience that I remember well: It was back in the 1958 era and Honeywell was supplying the guidance system for the Titan Intercontinental Ballistic Missile. The system included a timer, which contained a number of switching timed events that initiated actions and maneuvers of the missile. During a particular test, the timer had displayed a one-time, non-repeatable failure, in one of the timed events. I was a systems engineer on the project and it seems that we spent literally weeks, investigating and subjecting this device to all sorts of stress tests in attempts to repeat and isolate this problem, finally identifying the spot where temperature stresses caused an intermittent shorting out of a circuit function, leading to corrections that prevented such future malfunctions. This has been a long comment in response to to the original blog post, but it’s been fun to imagine this other far-fetched type of situation, based somewhat on my work experiences. Thanks for this blog contribution, Dad! Perhaps you will now be starting your own blog.